If there is anyone deserving of the title "National Treasure," its Diana Serra Cary. The almost 97-year-old former actress is the last living silent film star. She is also an author of four well regarded works of film history -- including a terrific autobiography, and is a longtime advocate for the rights of child actors. 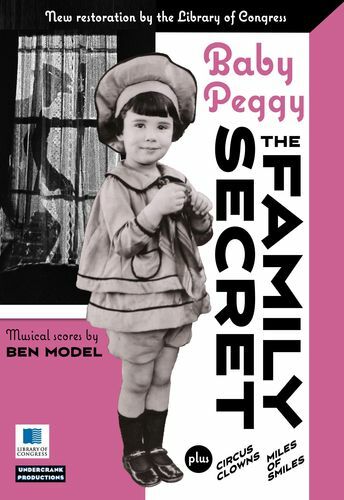 And what's more, Cary -- who was once a world-famous child actor under the name "Baby Peggy" -- has a new DVD. 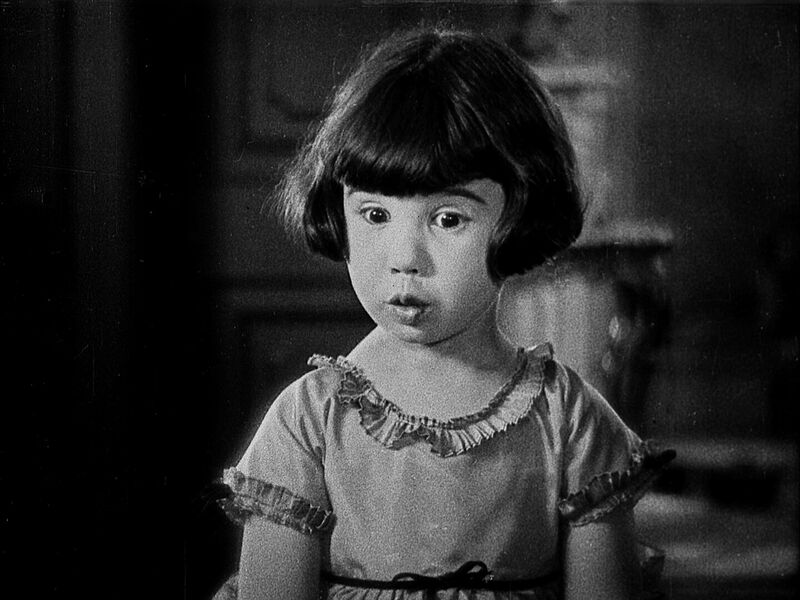 It's The Family Secret, a feature film from 1924 which was recently restored by the Library of Congress. On October 25, to celebrate Cary's birthday (the actress turns 97 the following day), Turner Classic Movies (TCM) will broadcast the newly restored Baby Peggy feature. The Family Secret will be followed by a moving documentary about the actress from 2012, The Elephant in the Room. Its title speaks to the unfortunate end to Baby Peggy's Hollywood career, and to the silence that surrounded it. If you don't know her name, you're not alone. Baby Peggy's film career ended long before most readers of the Huffington Post -- as well as their parents and even grandparents -- were born. Today, the still active Cary is largely known only to devotees of early Hollywood. How famous was Baby Peggy? At the age of five, if you can imagine this, the actress was chosen to be the mascot of the 1924 Democratic National Convention. There's a picture of the child star standing on the convention stage to the right of future president Franklin D. Roosevelt. In her day, Baby Peggy was as famous as many of her still remembered contemporaries, like "It girl" Clara Bow, with whom she co-starred in Helen's Babies in 1924, as well as Charlie Chaplin, Rudolph Valentino, and Douglas Fairbanks, each of whom she parodied. It's a fair comparison to say Baby Peggy was the Shirley Temple of the 1920s. Both actresses starred in Captain January, the film adaption of the well-known children's book: Baby Peggy's version was a smash hit in 1924. Temple's version, a popular remake, appeared in 1936. Like Temple, Baby Peggy's fame reached dizzying heights. And both were among Hollywood's most merchandised celebrities. By the time she made The Family Secret in 1924, Baby Peggy had already starred in more than 40 comedy shorts, having entered the movies in 1921 at the tender age of 2½. Her career -- and her million dollar contract with Universal Pictures -- ended abruptly in 1925 when her father / manager had a falling out with her producer. Directed by William Seiter, The Family Secret was a big budget production, a "Universal Jewel." (The film was based on a book by Frances Hodgson Burnett, who also wrote Little Lord Fauntleroy and The Secret Garden.) In it, Baby Peggy plays the daughter of a woman whose father opposes her marriage because of her new husband's social standing. The newlyweds are separated, but not before a child is conceived. Despite her age -- and despite her being surrounded by a cast of adult actors, this remarkably precocious four year old actress carries the film -- a charming period piece which dances around issues of parental control, pregnancy, and class. Especially moving is the scene where Baby Peggy's onscreen father is shot, and seemingly dies. In a recent telephone interview, the actress explained that she brought her own concerns for her own father to the scene. "My father had once contracted malaria, and would pass out. As a small child, I was instructed to memorize the phone number of an adult who could bring a doctor. I once had to save his life.... I was the family bread-winner. My favorite films -- like The Family Secret -- were those where I was responsible for helping people and making people happy." Besides The Family Secret, this new DVD from Undercrank Productions also contains a couple of newsreel excerpts featuring the pint-sized star, as well as two delightful and rare Baby Peggy comedy shorts, Circus Clowns (1922), and Miles of Smiles (1923), recently restored by The Museum of Modern Art. Each features a new theater organ score by renowned silent film accompanist Ben Model, one of the nation's leading silent film accompanists and the resident film pianist at the Museum of Modern Art (MoMA) since 1984. When asked what she thinks of her new DVD and of the renewed attention she has received, Cary said she was "thrilled at the quality of The Family Secret" and "tickled at the restoration of Circus Clowns, which the last time I saw it, was just a jumble." Cary also noted that in the last couple of years she has started receiving a good deal of fan mail, especially from Germany and Russia. "I was popular there as a child, and my popularity seems to have come down through the generations. I get fan mail from young people. They especially like the comedies. It's all because my films are available again. They hadn't been for so long." Thomas Gladysz is an arts and entertainment writer and early film enthusiast. He is also the director of the Louise Brooks Society, an online archive and international fan club which went online 20 years ago. In 2011, Gladysz interviewed Diana Serra Cary on-stage at the San Francisco Public Library. Most recently, he contributed the audio commentary to the just released Louise Brooks film, Diary of a Lost Girl (KINO).